Love the story of Adam and Eve? Love learning more about death? Then you’ll love Rotten to the Core. Rotten to the Core took place on 10th November 2017 and was an immersive journey into a world of gluttony, greed and excess. We learnt what when food, money, greed and lust collide, driven by the insatiable demands of our bellies. Learn more about Bompas & Parr future events via here. Thank you to Bompas & Parr for letting me and some other from the community of Love Pop Ups London come along to immersive into a world of the sinful fruit the apple and much more. Read our blogs/reviews from the comments section below. I learnt so much tonight about sins from Adam and Even and his first wife Lilith (whom I never knew about), death rituals and apples, apples and more apples the sinful fruit. With a Bompass and Parr event, you never really know what magic they have come up with until you arrive. 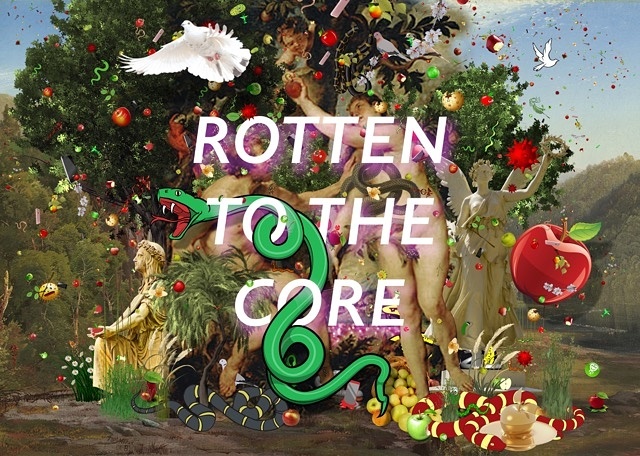 I was invited by them and Lovepopupslondon.com to their Rotten to the Core night.